Many British citizens are preparing for the worst after the crushing defeat of Theresa May's Brexit deal in the U.K. parliament this week. Leave supporter James Blake, who owns an emergency food supply company, is among those stockpiling food. James Blake is selling an unconventional "insurance" policy to residents of the United Kingdom — but he hopes buyers won't need it. On offer are "Brexit boxes" filled with a one-month supply of freeze-dried food, water filters and fire starters. The kits, which are designed to last for 25 years, are a response to growing worries over possible food shortages in the event the U.K. exits the European Union with no deal. "I genuinely don't want to think that way," Blake told Day 6 host Brent Bambury, "but I think it's important that we prepare just in case." 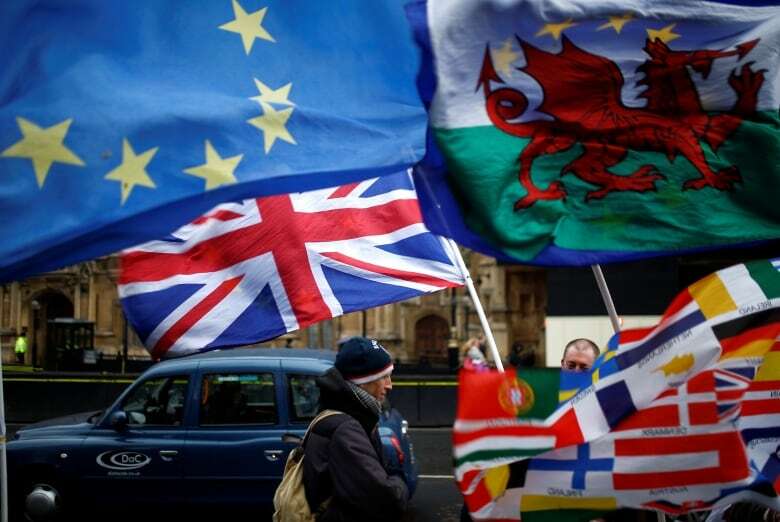 The worry over shortages grew this week when the British Parliament soundly rejected Prime Minister Theresa May's proposed Brexit plan in a record defeat, triggering a non-confidence vote and increasing the possibility of a no-deal Brexit. Britain imports half of its food and with no deal expected to mean delays at border crossings, some are choosing to stockpile food and other long-lasting goods. "For the vast majority of people now, they shop day-to-day or every few days because supermarkets, everything's convenient," Blake said. "That's great as long as the supply chain doesn't get disrupted." The Leeds, U.K., man — who supports the hard Brexit option favoured by ardent supporters of the movement — sees his boxes as a stopgap measure of sorts. "We don't want to have a crash in the car but we have [car insurance] just in case, and it's the same with this box," he said. Kira Millana Lewis wants nothing to do with the so-called Brexit boxes. "Hopefully I won't ever need one, because if we crash out with a deal, I think that would be disaster for our country and it's not something I want to plan for," the 18-year-old King's College student in London, U.K., told Day 6. 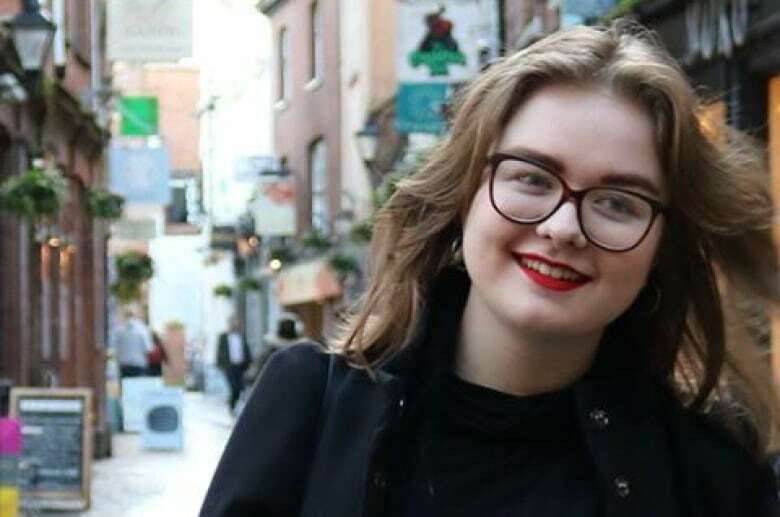 When the Brexit referendum was held in 2016, Lewis was only 16, leaving her ineligible to cast a ballot. "I haven't voted for this mess and yet it's all we've heard," Lewis said. 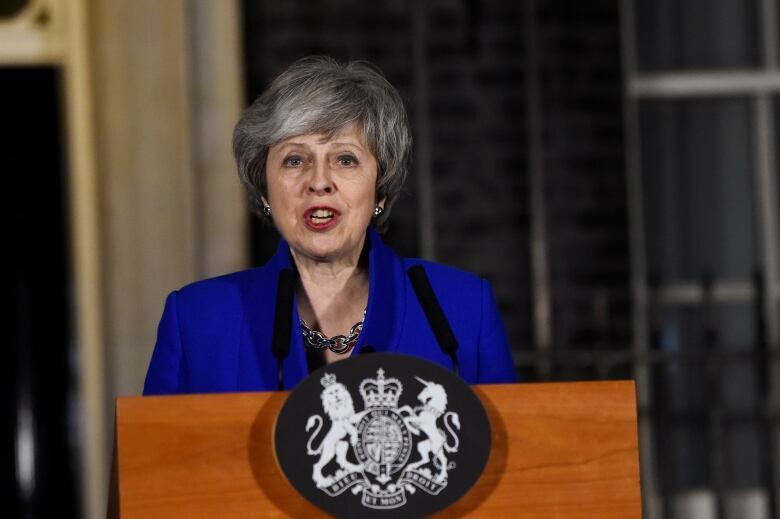 "We haven't been able to lobby decision makers about transport, education, health, because all their efforts and all their money and all their focus is on Brexit," she added. Lewis comes from a family of labourers who have seen job losses throughout the years. While she recognizes the argument that things will be better after Brexit — eventually — she says it's not enough to hang her hat on. She'd like to see another referendum before the U.K.'s March 29 deadline to leave the EU. "What people wanted in 2016 may not be what we want now," she said. "It's important to have our say and have our kind of renewal in that, and I don't see why we should have to fix this mess that they've put us in." At £300 — about $500 — per kit, Blake says he's already sold about 600 boxes and he's averaging 25 more each day. In a statement to the BBC, a spokesperson for the British government said there's no need to stockpile food and water filters. "The U.K. has a strong level of food security built upon a diverse range of sources including strong domestic production and imports from third countries. This will continue to be the case whether we leave the EU with or without a deal," they added. Deal or no deal, Blake believes that Brexit is still a good trajectory for the United Kingdom. Yes, there will be disruption, he says, but the long-term benefits will outweigh any short-term pain. "We will be able to have trade deals with other areas around the world and tap into the globalized trading society that we're in right now," he said. "Being part of Europe was great, and I think there's very good things about being part of Europe and part of the EU, but there's also some bad things as well." He says that this week's hiccups are the result of politicians' "incompetence" in working toward a deal that many didn't vote for in the first place. "So, they're kind of working on an assumption and a process that they don't actually believe in. It's a bit chaotic, really, to be fair," he said. Still, he has a backup plan just in case. "I do have about six months' supply of food myself that I keep under the stairs." To hear the full interview with James Blake, download our podcast or click 'Listen' at the top of this page.